Tell me about your sock drawer. How’s it looking these days, hmmmm? There are certain places in my home that really frustrate me. I get them organized, and they look beautiful, and everything in them has a place, and it all makes sense, and I can find what I need easily — and then less than six months later they look like a tornado went through. The junk drawer in my kitchen is one of those. My own sock drawer is another. The computer area — don’t even get me started. The thing is, it should not surprise me that my decluttering and organizing efforts don’t last forever. The second law of thermodynamics says that things will progress to disorder unless acted on by an outside force. I need to be a consistent outside force. What this means is that I need to see decluttering and organizing as an ongoing task, not just something that gets done once and then I never need to think about it again. Painting the wall is a done-once kinda job. It will be years before I need to do that again. But decluttering the kitchen needs to be an ongoing thing. If I don’t regularly get into those cabinets to pull things out, wipe everything down, cull the unused items, and re-organize as I put it all back in, then soon it will be very difficult to cook a meal. Because I will be so frustrated by trying to find things, and putting up with the crumbs that always get into the silverware drawer for no reason that I can fathom, and having to make do with the broken cheese grater… you get the idea. This is what you need to know to triumph over clutter: you’re gonna have to declutter regularly. Some people say to take 10 minutes every day to declutter something, anything, as long as you do it EVERY day. My friend Victoria at Snail Pace Transformations has a box that she fills every month. She just randomly declutters around the whole house all month, as she sees things that need to be gotten rid of, and she fills the box as she goes. Then at the end of the month she takes the box to the thrift store and starts with a new empty box the next month. How simple is that? 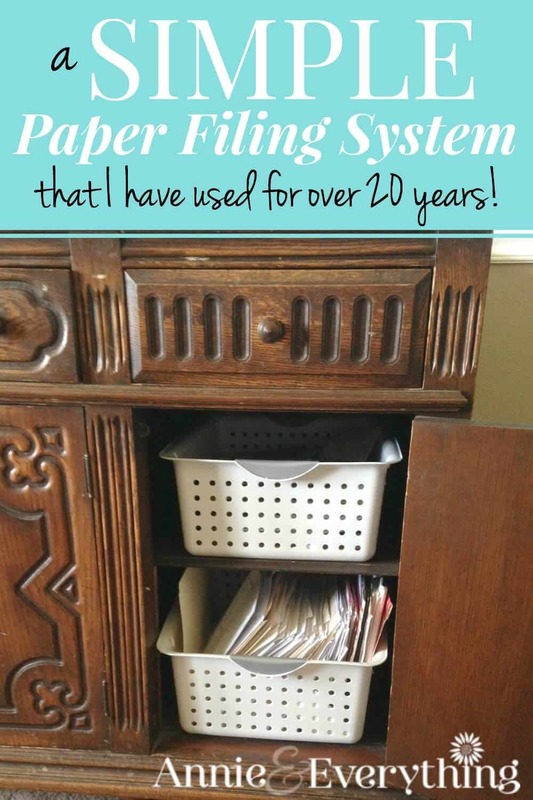 She started it as a challenge to declutter 30 items each month, but she tells me that now she just fills a box without counting how many items are in there. 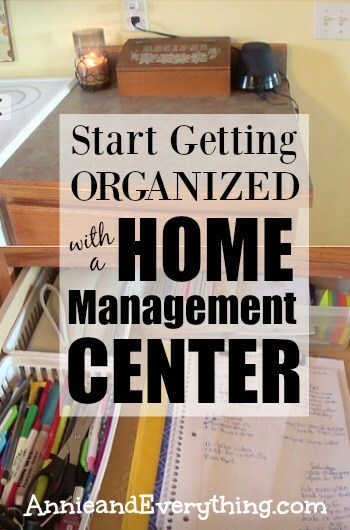 Here’s her post about it: The 30×12 Clutter Challenge. The thing is to stop having the “I’m finished with decluttering and organizing this” mentality and start realizing it is an ongoing process. I mean, we never fall into the trap of thinking we’re really DONE with the laundry. We KNOW we will have to keep doing it day after day. We might be caught up sometimes… I said MIGHT, lol… but we are never DONE. Same with decluttering. Sometimes we are caught up. But in a few short weeks, or even days, we will need to do some more work in that area. Because keeping things decluttered is KEY to keeping things organized. 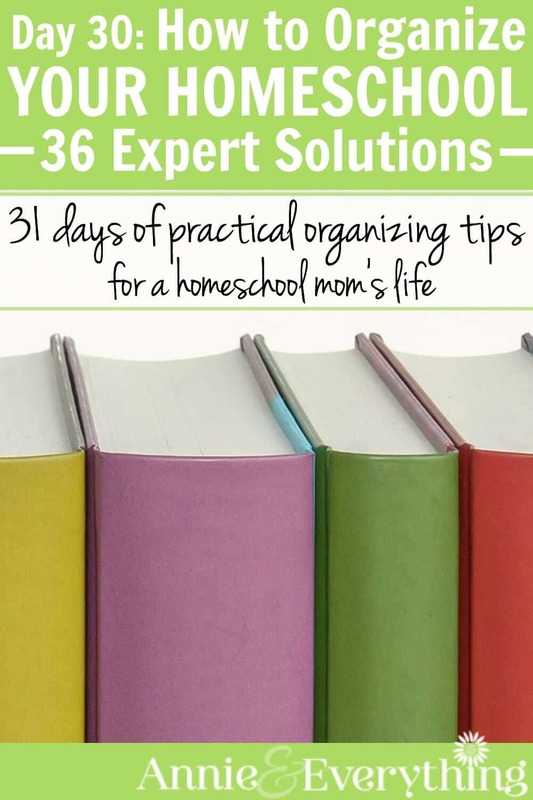 Too much stuff means more chance to be overwhelmed and disorganized, as I detailed on Day 14. Some people like to do their decluttering and organizing as part of spring cleaning every year. I’m not much of a spring cleaning fan, but if that’s your jam, then go for it. However, my guess is that you will find you need to fit some re-organization into your schedule way before spring rolls around again. Another thought is to make a list of all the areas that seem to become disorganized frequently, and add them to your cleaning schedule. 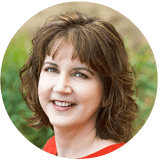 Ruth Soukup has written a really helpful book called Unstuffed in which she talks about decluttering your ENTIRE life. I found it to be very motivational. I wrote about it and more about this whole idea of ongoing decluttering in How to KEEP Your Home Decluttered. 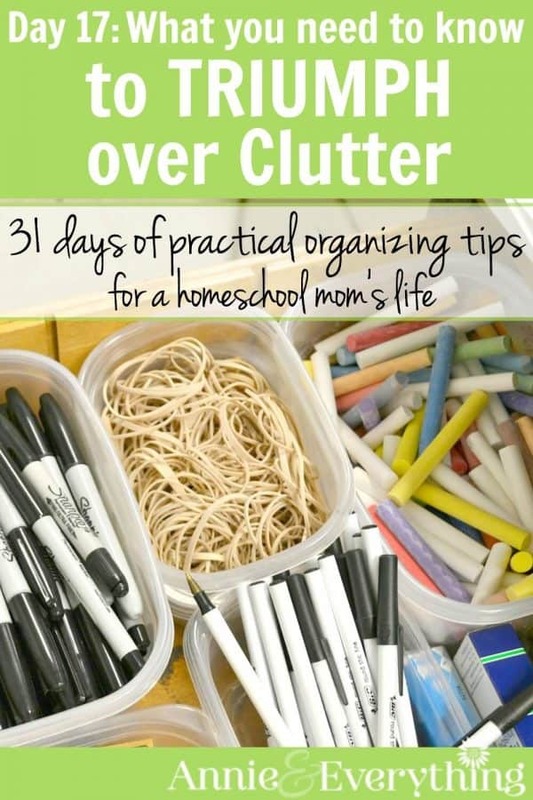 If you’re looking for more ideas about how to do the actual decluttering, here’s a great list of ideas from around the internet: Ann-Notated: How Others Declutter. But for now, just start thinking about decluttering as an ongoing process, and try to figure out how you can best fit it into your life on a regular basis. Sometimes all it takes is being aware of the need, and then you find opportunities all over the place.